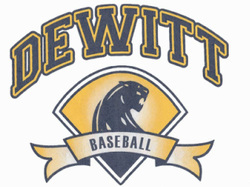 The DeWitt Dugout Club has been around since the early 1980’s to support the DeWitt High School baseball program. Parents of Freshman, JV & Varsity players are invited and encouraged to be a part of the club. The primary purpose of the club is to assist the high school program in whatever is needed to make the baseball program successful, from fundraising, working at the concession stand, to field maintenance. Virtually all improvements, upgrades, and additions to the baseball program are a result of the efforts of the Dugout Club. The success of all of our activities depends on the involvement of its members! One-hour meetings are generally held monthly from August to June. Serving as one of our committee Chairpersons or on one of our project committees is a great way to get involved. Committees exist for our: Spaghetti Dinner, Euchre Tournament, Website Maintenance, Grounds Maintenance, and Tournament Planning among others. Projects that the Dugout Club has been involved in the past several years include: a wood-bat baseball tournament, youth baseball clinic, spaghetti dinner, euchre tournament, fundraiser brick sale, alumni weekend, golf outing, concession sales, tiling of the field, installation of irrigation, new infield skin, the annual spring break trip and the big project to date: construction of the press box/concession facility. We are always in need of new ideas and volunteers for the projects. We would love to hear from you if you have ways in which we can improve the Dugout Club.